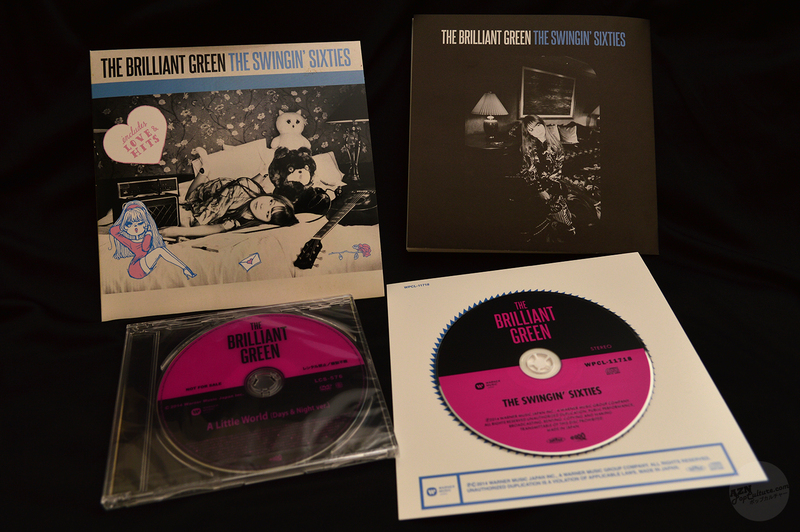 When it was announced that the brilliant green would be releasing a new album called "The Swingin' Sixties", I was, for a short while, quite excited. That was until I found out it was a self-cover 'best of' album. 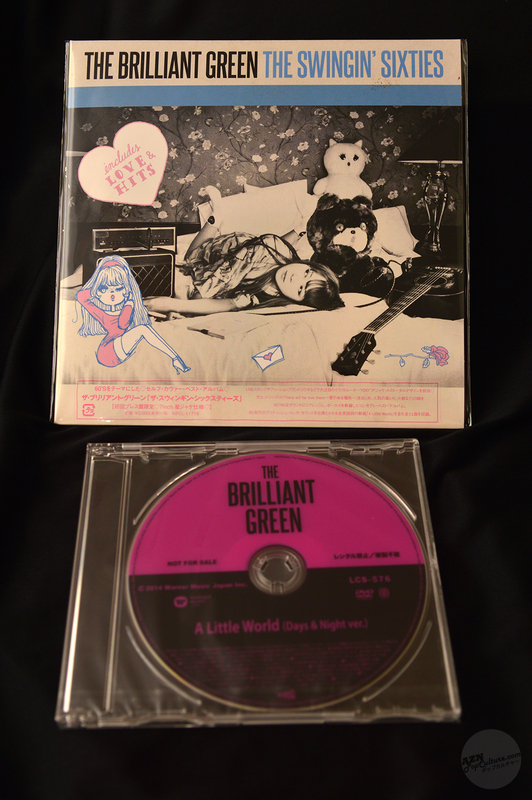 While I always look forward to any release by the brilliant green, as they are one of my favourite bands, the thought of them releasing the same songs again just didn't really do it for me, especially seeing as they had released a best of album already. I just wanted a new album full of new songs! Of course, I pre-ordered the CD anyway, as I generally buy everything they record. 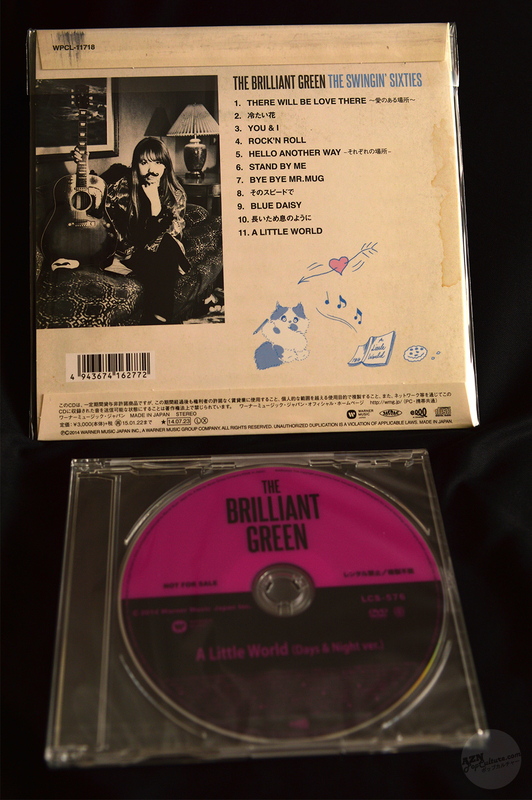 It was released on 23 July, and my copy of the album arrived through the post seven days later. It's been described as songs inspired by British sixties pop, and features eleven songs, ten of which are re-recorded versions of some the band’s older songs. The eleventh track is a new song called "A Little World". 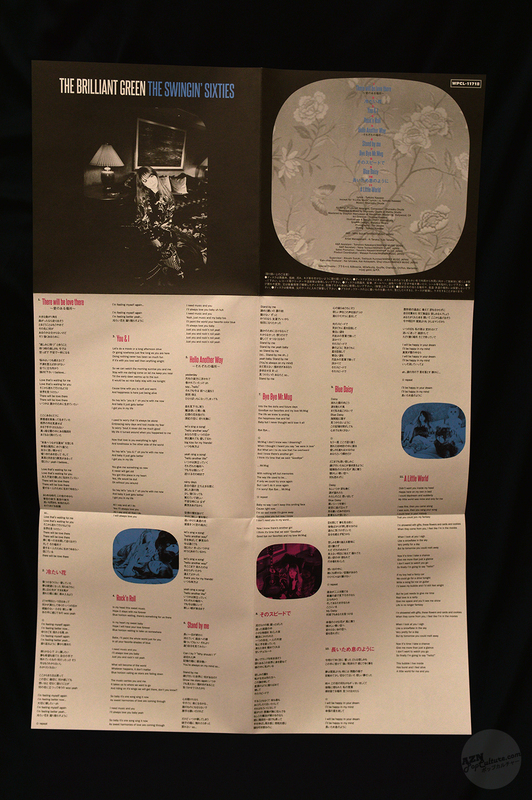 The package itself consists of a seven inch record sleeve, in the style of the old vinyl record singles, containing the CD mounted on a piece of card, along with a lyrics sheet that unfolds into a poster. There is also a DVD in a clear case, with no inlay card. On first listening, I was pleasantly surprised. The newly recorded versions of the songs were quite nice to listen to; a lot more mellow sounding than the originals, apart from perhaps "Rock'n Roll", which was a bit more perky than the original version. There are acoustic guitars and fuzzy electric guitars too, and the warm familiarity of those old favourites add to the enjoyment of the songs. The new song "A Little Word" is a much more upbeat affair than the rest of the album, and initially, I thought that it somehow didn't quite fit, but on subsequent listening, it sounds just right! It's a nice contrast to the older songs, and at the same time is a great song to close the album. There was also a DVD featuring the "Days & Night version" of the PV for this new song. This version is in fact a kind of 'making of' video, which plays through the song twice, showing the video being filmed. 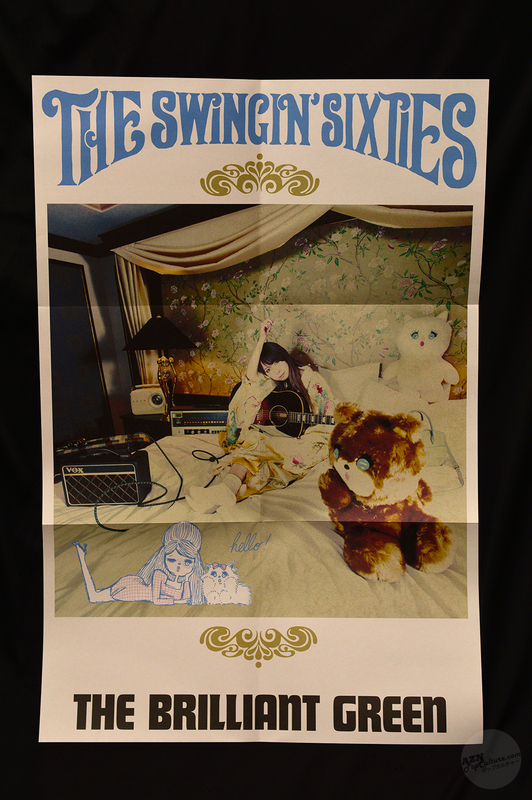 The final PV (not included on the DVD), viewable at the official "The Swingin' Sixties" website, and embedded below, features tbg's lead singer Tomoko Kawase in a hotel room, lying, sitting and standing on the bed using the telephone, or dancing around. There are also scenes of her being photographed with an acoustic guitar, or wrapped in a Union Flag. The scenes of the room are interspersed with scenes filmed on location in London. The video is somewhat reminiscent of some of Kawase's Tommy february6 videos, in the way she acts and looks. Kawase's husband, and bassist for the brilliant green, Shunsaku Okuda doesn't feature in the video at all. The new song certainly whets the appetite for the next full studio album! Back in February, it was announced on the official website that not one, but two new albums would be released in 2014! The first one being a Live Session Album, due for early summer release, and a second original album, released this winter. I'm not sure if "The Swinging Sixties" replaces that first album or not, as a live session album hasn't materialised as far as I'm aware; "The Swinging Sixties" wasn't recorded live. Let's hope the second album is still on the cards later in the year.